I just discovered the Senedd Petitions Committee Minutes hiding in my junk mail folder. We have been waiting with baited breath for the verdict of the committee and now it seams they want to hold more talks with various stakeholders before reaching their final verdict. The full minutes from the meeting can be viewed here. The crucial information regarding the #SaveWILG Campaign can be seen below. Members discussed the evidence session and agreed to seek additional evidence from a range of stakeholders in relation to the subject of the petition. I have just received the following letter from Minister for Children and Social Care, Huw Irranca-Davies. I have only skim read it at the moment but I can see that it is ignoring all of our fears about the end of the three tier triangular system of support and disabled people’s rights under the UNCRPD. 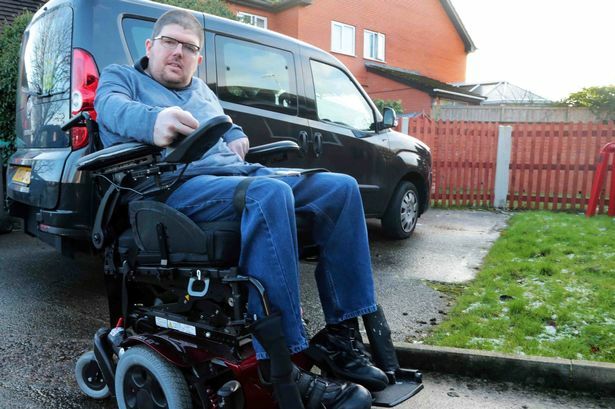 As promised in my letter of 28 February I am writing to provide an update on the transition period to the new support arrangements for recipients of the Welsh Independent Living Grant (WILG). You will know a two year transition period was put in place within which WILG recipients would transfer to receiving their support from their local authority. This commenced on 1 April last year and is to conclude on 31 March 2019. During the first year of this period, local authorities were to discuss and agree with their recipients the wellbeing outcomes they wish to achieve, and agree a future care package to deliver these. During the second year, authorities were to begin to provide these care packages to replace recipients’ payments under the WILG. Clearly the first year of this is critical in terms of identifying and agreeing with recipients the outcomes they wish to achieve to continue to live independently, and agreeing a future care package to deliver this. Providing authorities with sufficient time to do this is, therefore, essential particularly given some recipients have complex needs. However this is proving difficult to achieve in all cases in the current timescale and more time needs to be devoted to this critical first part of the transition period, to ensure the most appropriate care packages for all recipients are agreed which deliver the best outcomes for recipients. Consequently I have decided to extend the first part of the transition period so that it will now conclude on 30 September this year rather than March as originally envisaged. This is to provide local authorities and WILG recipients sufficient time to discuss and agree future care packages to make sure these are completed in an appropriate manner. In deciding this, I have made it clear to authorities that I expect them to have completed this review part of the process for all of their recipients within this rescheduled timescale. I expect all recipients to have an agreed future care package to deliver their wellbeing outcomes by the end of this period, i.e. 30 September this year. As a result I have no plans to reschedule the remainder of the transition period. I have, therefore, also made it clear to authorities that from now until the end of the transition period overall on 31 March next year, they should continue to put in place care packages agreed with their recipients where this is possible and not wait until this date to do so. Following our meeting earlier this year you will know I was considering what arrangements to put place to collect qualitative data on the transition period to go alongside the quantitative data we collect from authorities. Having considered this, I have decided to commission a short questionnaire for recipients, hosted by the All Wales Forum in partnership with Disability Wales, to seek their views on the whole of the transition process. This will cover the process from initial contact by their authority to provision of their agreed care package. This is so that we have qualitative data on the transition process from the recipient’s perspective. Details of this are currently being agreed with the Forum and Disability Wales and officials will be providing more information for recipients on this survey, and how they can take part in this if they wish, once these have been finalised. As regards progress on the transition process a number of local authorities across Wales are reporting they have completed the reviews for all, or a substantial number of, their recipients so that these will be transferring shortly to receive their future support from their authority. With these, these authorities report they have had few issues with, or complaints from, recipients as a substantial number are to receive future support similar to that they currently receive. While it will take some time to complete this for all recipients, there are no indications at present that doing this will present any more problems than would normally be the case with an assessment of care needs. As regards Wrexham I understand it is already in the process of reviewing the future needs of around half of its 93 recipients, with around 20 or so of these already having agreed their future care package with few issues. It acknowledges this is taking time due to social worker vacancies it has had (which it has now addressed) and the fact that the majority its WILG recipients are in supported living houses (where to cater appropriately for each person’s needs it has to undertake reviews of everyone living in each house, thereby multiplying the number of reviews required and lengthening this process). Nevertheless it has assured me it is taking a person centred approach to completing this process, with recipients their families, carers and advocates involved as appropriate, and that it will have completed reviews for all its recipients by the end of September as planned. I understand Wrexham was in contact in February with its recipients to update them. If you wish to check the position as to when your review is scheduled, or you have concerns over this or how this will be undertaken, I would urge you to contact the council to address these.